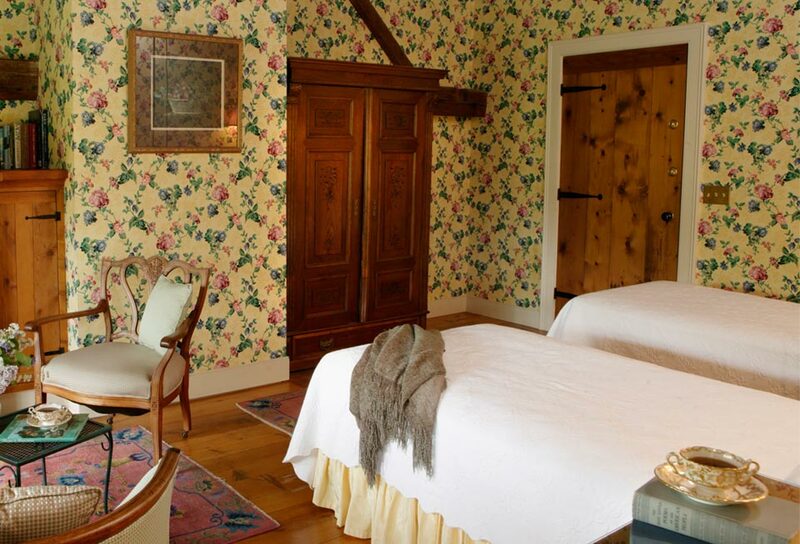 Dressy and bright with vibrant yellow and floral wallpaper — staying in this room in our Vermont luxury inn feels like staying in an English Garden! 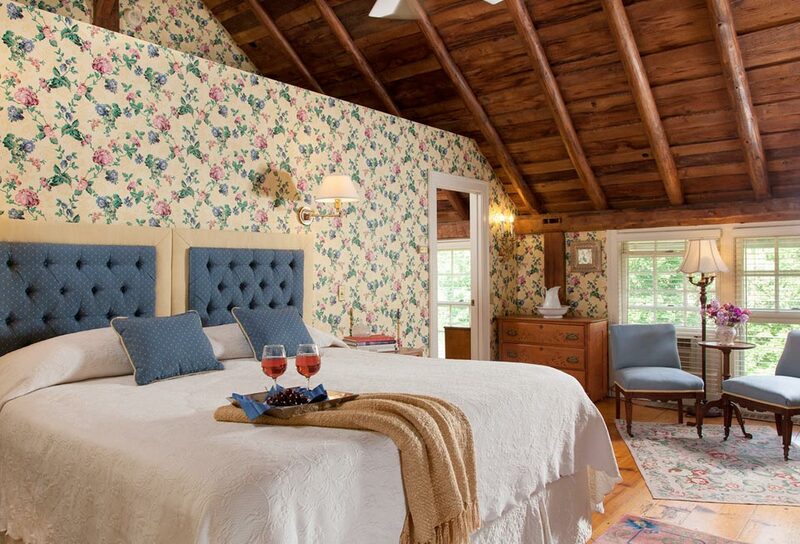 Sleep under a vaulted ceiling of original wood beams in a comfy bed that pulls double-duty as either a king or two twins. 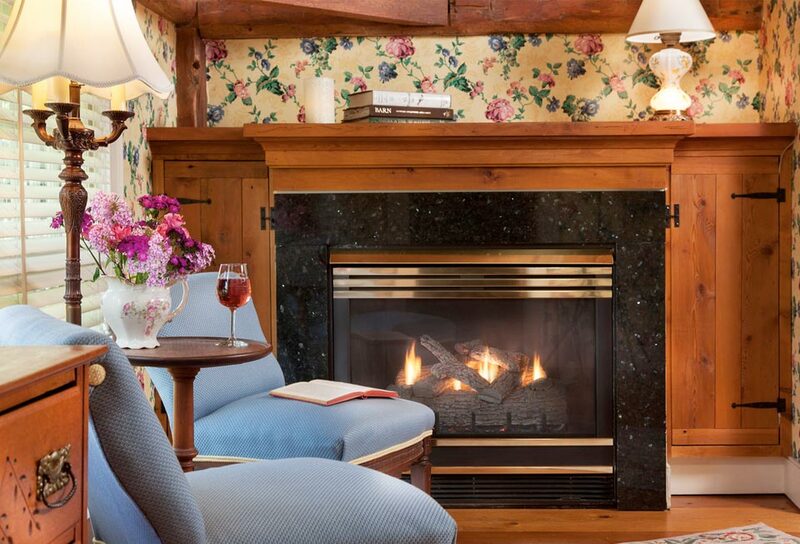 The cheery sitting area with the gas fireplace offers lovely mountain views. This room offers a private bath and wireless Internet access. 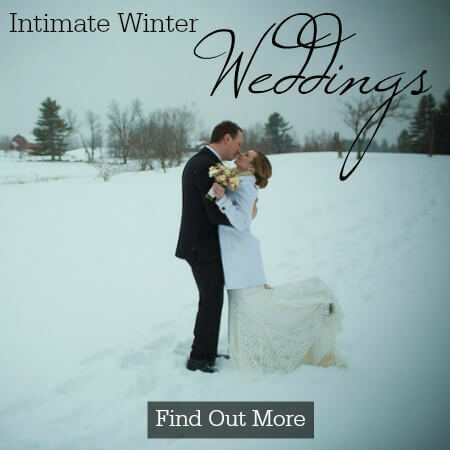 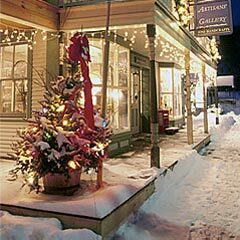 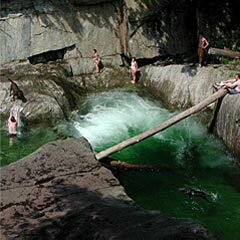 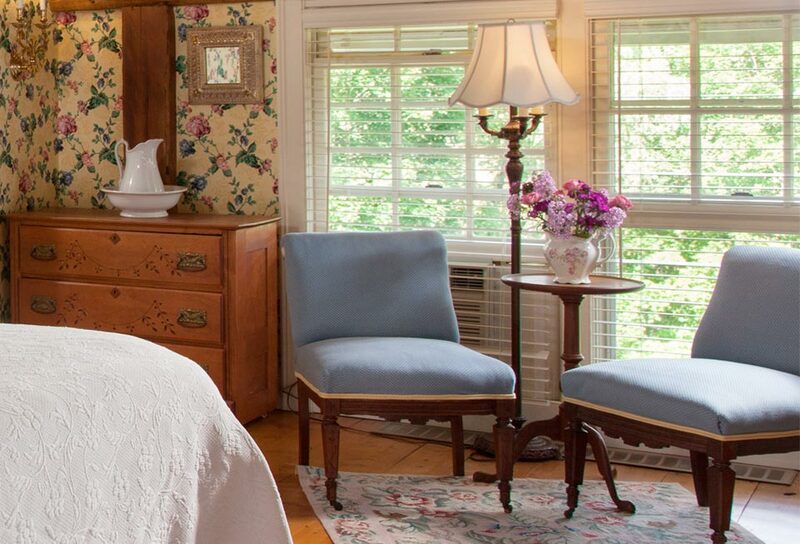 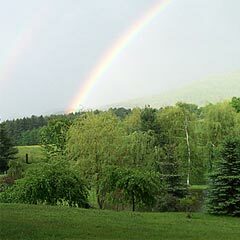 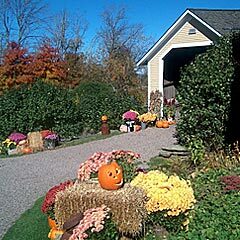 We look forward to having you in our Vermont bed and breakfast.